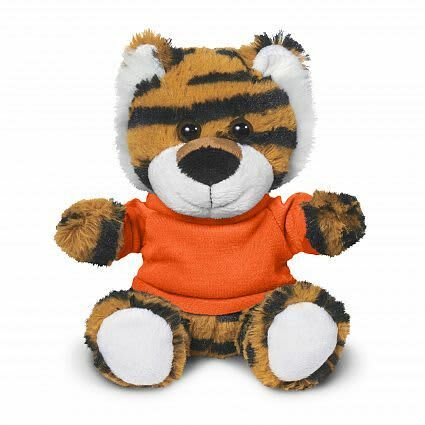 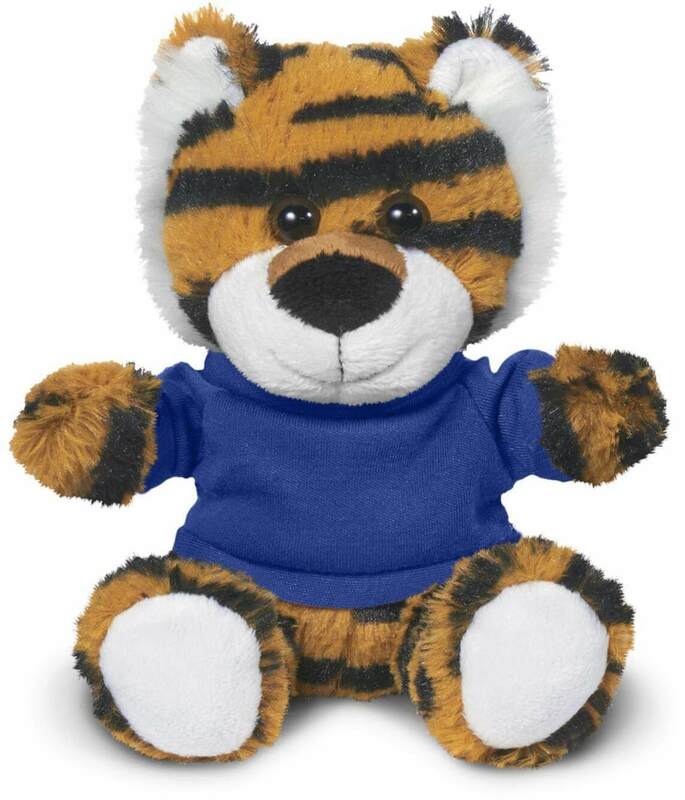 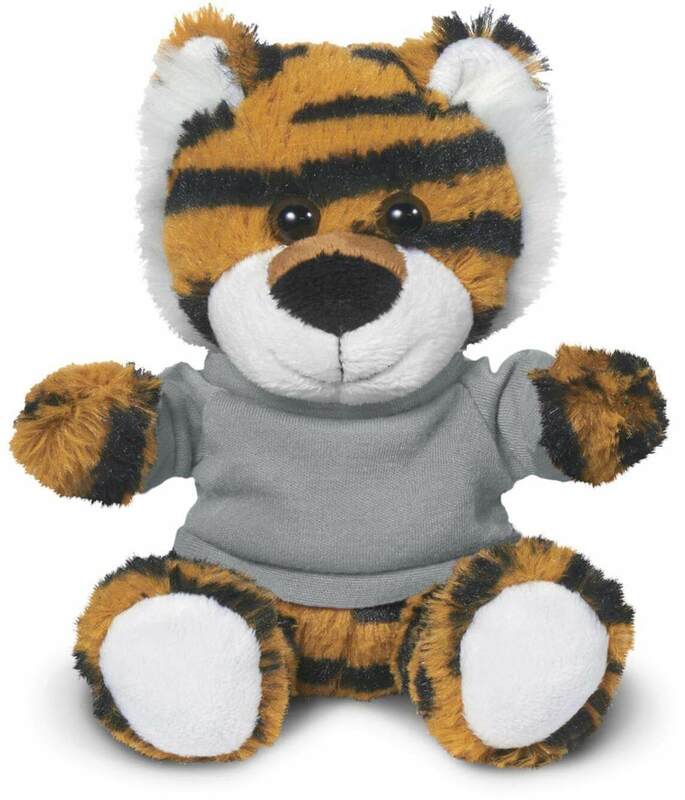 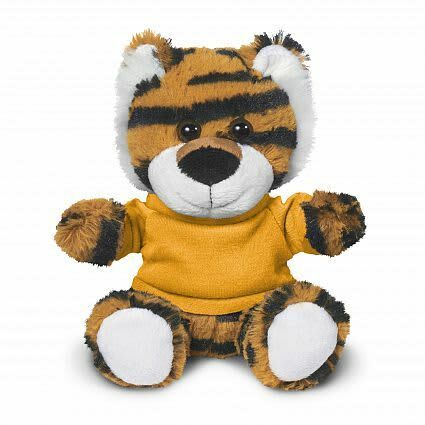 Let this Custom Printed Terrific Tiger Plushie roar about your brand to enhance awareness and goodwill. This 15cm plush toy comes with a logo-imprintable shirt that comes in 14 different colours. Tiger: Two Tone Striped. 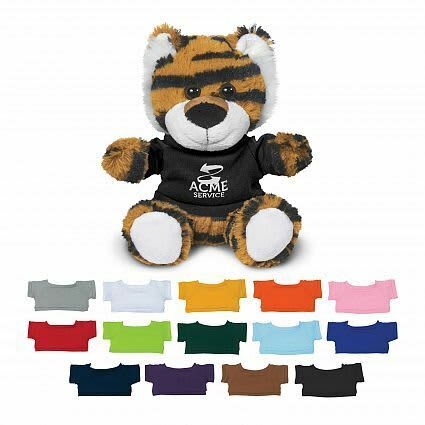 Shirt: Heather Gray, Athletic Gold, White, Orange, Pink, Red, Lime Green, Forest Green, Light Blue, Royal Blue, Navy, Purple, Brown, Black.